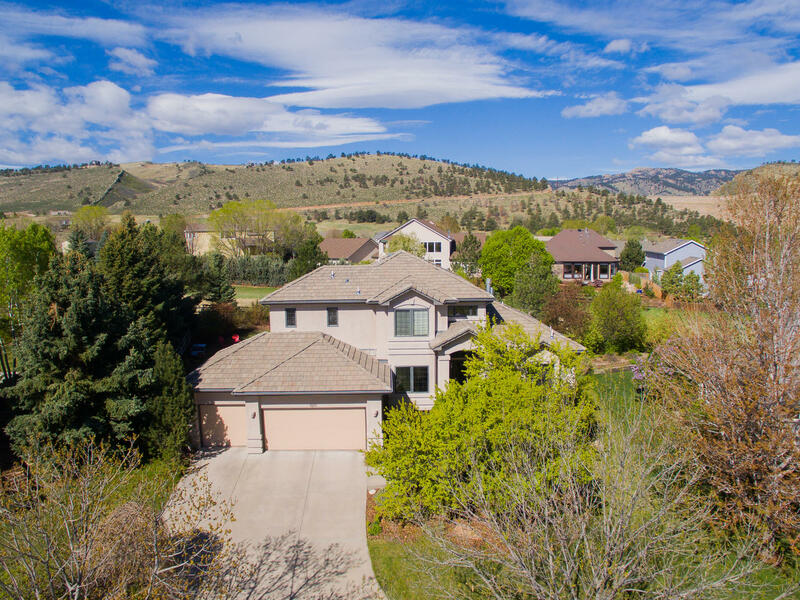 extraordinary property - exudes phenomenal custom quality and character, paired with gorgeous Foothill and Horsetooth Rock views! 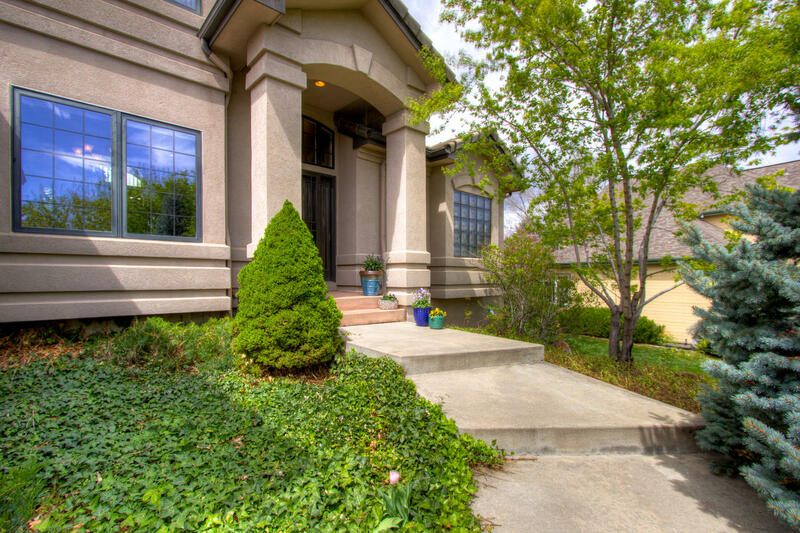 5 spacious bedrooms, 4 bathrooms and an oversized finished 3 car garage! 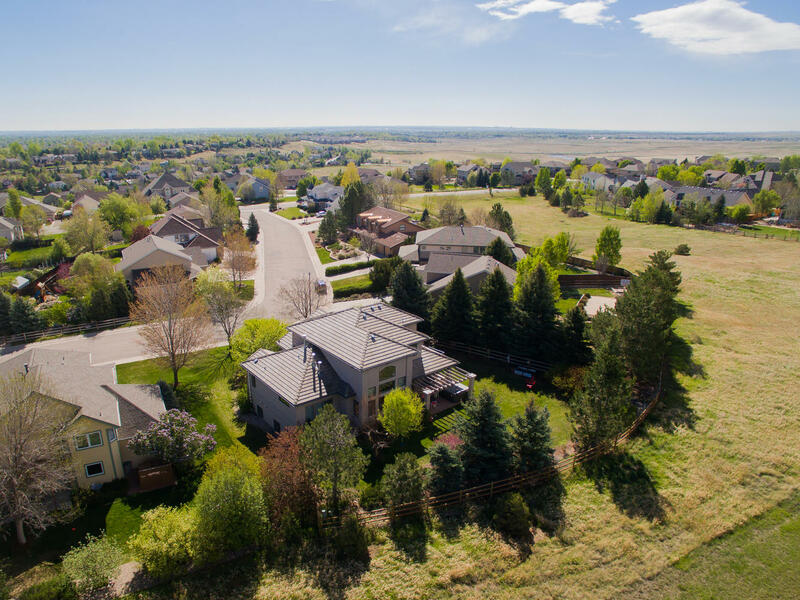 Enjoy the backyard oasis – lush landscaping - newly fenced backyard – pergola, spacious patio and evening deck off the decadent Master Suite all Backing to private OPEN SPACE and over a quarter of an acre 12,197 sqft. in desirable Wildflower Ridge! Nearly 4,000 finished square feet and 2,409 above grade. wet bar and kitchenette! Generously sized bedrooms throughout, jack and jill bathroom, comfortable loft with great storage and built-ins, truly an ideal floor plan! Gas Fireplace in Master Bed, Great Room and Cobblestone fireplace in the lower level! Sleep in complete comfort – the cozy main floor master with its own evening deck and Fireplace boasts a gracious 5 piece spa-like bath with a jetted tub, oversized shower with Dual heads, spacious walk-in closet, new tile floors and travertine tilework.